The Bugaboo Cameleon 3 earned 68 points out of 100 in our review for stroller car seat combinations. The score gave it a sixth place rank tying with the UPPAbaby Cruz Combo. The Cameleon is a high-end stroller that works well with at least the Chicco car seat adapter but disappointed us with the Peg Perego adapters. While it isn't the heaviest or the largest product in the bunch, we just weren't that impressed with its performance or features to offer it an award or a real nod of approval. Bugaboo manufactures high-end strollers and luggage systems with a company wide goal to "help you move freely". The Bugaboo company was started in 1994 and creates what they refer to as "game changing" products that help people explore the world in "comfort and style". The Bugaboo Cameleon 3 works well with the Chicco Keyfit 30 car seat adapter. The following chart is a comparison of the overall scores for each combination we tested for this review. The information provided below offers details on how the Cameleon compared to the competition during testing. The Cameleon tied with the Bugaboo Bee3 Combo for ease of car seat attachment with 9 of 10 scores. The Doona earned a perfect 10 because the car seat is always attached to the stroller portion of the product with no attachment necessary. The photos above show the car seat adapters for the Chicco (left) and the Peg Perego (right). The Cameleon is compatible with a few more seats than its little brother the Bugaboo Bee3 Combo. With the purchase of adapters you can use the Britax B-Safe 35, B-Safe, and B-Safe 35 Elite; the Chicco Keyfit 30 and the Chicco Keyfit; the Cybex Aton 2 and the Aton Q; the Maxi-Cosi Mico, Mico AP, Mico NXT, and the Maxi-Cosi Prezi; and the Peg Perego Primo Viaggio 4-35. We tested this stroller with the Chicco Keyfit 30 and the Peg Perego Primo Viaggio 4-35. The attachment of the Chicco onto the Cameleon adapter is similar to how it attaches to the car seat base. The Chicco adapter requires some assembly, and you'll need a Phillips head screwdriver to connect the four parts. The adapter is not difficult to put together and you will only need to put it together once. The adapter is a metal loop that clicks into the side attachment points on the frame. The standard toddler seat and canopy must be removed before attaching the adapter. The carrier drops into the loop and connects on its own with little to no force. It doesn't get easier than this attachment. The Cameleon's car seat attachment score is based solely on this car seat combination. The Peg Perego is extremely difficult to attach to the Cameleon adapter because the sides do not align very easily. Several testers significantly struggled to attach the seat. The adapter for the Peg does not require assembly and includes two individual connectors that attach to the side points on the stroller where the toddler seat connects. Attaching the adapters is easy, but connecting the seat is another story. This might be the worst combination in the review, not just for the Cameleon. Attaching this car seat onto the adapters requires aligning both sides at the same time and pressing down until they click in place. While it might sound easy, it is the most difficult in the group and often required two people to accomplish in our testing. We had serious trouble getting both sides aligned and repeatedly failed to make the connections on both sides at the same time resulting in the carrier dropping through and failing to attach. This combination could easily result in new moms crying in frustration and giving up on their outing altogether. If you have the misfortune of trying to use the Cameleon with the Peg Perego seat, we recommend practicing at home with no baby in the seat until you can make the connection with relative ease every time. If you already own the Cameleon, we recommend the Chicco Keyfit 30 adapter and car seat. Alternatively, you could try using any other option where the adapter is a loop style connection as opposed to the two side attachments. We suggest avoiding the Peg Perego seat and any other with the side connection. The CHicco fits easily and with little pressure into the adapter on the Cameleon. The Cameleon earned a 5 of 10 for weight and folded size and is neither light nor small. This score is average for the group and certainly nothing to write home about. The high for the metric is 9, a score shared by all the dedicated frame strollers that are designed to be lightweight, small in size, and easy to fold and carry. The Chicco car seat adapter needs to be removed from the Cameleon in order to fold the stroller. This will leave you with 2 items to carry and store. The Cameleon weighs 17.6 lbs, which is slightly below the average of 18. It has a folded size of 10,226 cubic inches. While the weight is reasonable, it is the folded size that is harder to manage. The Britax B-Agile 3 Combo is the smallest folded stroller in the group at 6,658 cubic inches, but is still heavy at 19.3 lbs. The UPPAbaby Cruz Combo is the lightest full-size option in the group at a little over 15 lbs, and it is relatively small when folded at around 7,860 cubic inches; a nice compromise for both metrics while still getting the features and performance of a larger stroller. The Cameleon earned a 6 of 10 for maneuverability. The Cameleon score is average, with the BOB Revolution Flex Combo and the Baby Jogger City Mini GT Combo earning the high of 9. Both high ranking strollers have rubber tires and a single front wheel. The smaller footprint of this product makes it easier in tight spots, but it doesn't turn as well as some of the others with more flex in the frame and handlebar. This stroller is relatively easy to push on hard surfaces with two hands and while one hand is possible you probably won't do it often. This stroller has two modes, one for off-road, which makes the pushing on rougher terrain easier, but neither mode is great, and we had some tipping problems in off-road mode, and both wheels got stuck in the grate when we tried pushing it over. The wheels are foam filled rubber and are larger and more functional than those on the Bee. We like the performance of rubber and think foam is nice if you are worried about a flat tire, but if you aren't going to be off-roading, it seems like overkill and the extra performance of pneumatic tires might be preferred. However, the wheels spin nicely and have little resistance. The back wheels are larger than the front, but both roll equally smooth. The front wheels have adjustable shocks, and the rear wheels have none. The release button for the Cameleon handlebar. To learn more details about pushing and turning this product, please read more in our review of the best full-size strollers. Attaching the Peg Perego to the Cameleon is the most difficult thing about the Cameleon. Much like its little brother the Bugaboo Bee3 Combo this stroller did not perform well in our tests for ease of use with a 4 of 10. The Cameleon is on the big and heavy side compared to the competition, and you must remove the car seat adapter or toddler seat to fold it. Folding the Cameleon requires two hands and is tough compared to the competition. It takes five steps and bending to the ground with a busy folding method that has a manual lock, and doesn't self-stand or have a carry strap. You will also need to remove the car seat adapter before folding. The unfold is marginally easier, but still a pain and requires two hands and has two steps. Once folded, you will be holding the frame, adapter, and the infant carrier. When releasing the handbrake on the Cameleon you need to be careful it doesn't snap back on your hand. This stroller has single action brakes that are easy to set and release. It is a handbrake model, and you need to make sure you are cautious when releasing the brake, so it doesn't slap you in the back of the hand. The brake is stiffer than other hand brakes we've seen, but it is still pretty easy. The Cameleon storage bin looks fairly large, but it can only hold 8.8 pounds and it only worked with our medium size diaper bag. The storage bin on the Cameleon is medium in size, and it fit our medium sized diaper bag. The bin has average access from the front, sides, and back with a maximum allowable weight of 8.8 lbs. The limiting factor to this bin is the weight limit that doesn't come close to the UPPAbaby products that are 25 and 30 lbs each. This means you will be limited in what kind of supplies you can carry with you. Most folks will be unable to run errands or buy a few grocery supplies without requiring a bag to carry them in. The canopy on this stroller is large with no additional ventilation or peek-a-boo window. The canopy doesn't work with the car seat adapters and the lack of stroller shade means you will need to rely on the canopy that comes with the car seat as baby's protection from the elements. The Bugaboo Cameleon is an example of a standard size stroller. It is more complex than a frame option, but not as complex as a jogging style product. The Cameleon is one of the harder products to assemble and earned a 4 of 10 for this metric; this is a tie with the Peg Perego Booklet Combo. The worst is the Cameleon's little brother the Bugaboo Bee3 Combo with a score of 3. The easiest stroller to assemble is the UPPAbaby Cruz Combo with a perfect score of 10 as it comes almost entirely assembled. The Cameleon took just over 14 minutes to assemble from unpacking the box to ready to stroll. The documentation that comes with it is poor and made up of illustrations that are difficult to follow and no words to help explain them. One would think a high priced product like the Cameleon would rank higher in the quality department. As it is this Bugaboo earned a 7 of 10 for quality. The high for the group is 8 shared by the UPPAbaby Vista Combo and the BOB Revolution Flex Combo. The aluminum finish frame is more robust than the one on the Bugaboo Bee3, and we like the way it looks. It feels sturdy, but there is some flex that makes it harder to push. The frame design is simpler and looks cleaner than the Bugaboo Bee with fewer plastic components. The heavier canvas fabric lays nicely on the frame, and it doesn't wrinkle or bunch. The storage basket is a heavier material than the seat and canopy and has a plastic piece in the bottom to help it retain shape. Bugaboo offers a variety of infant car seat adapters to couple your favorite brand car seat with your Bugaboo stroller. We tested the Chicco adapter and it was very easy to use. The Cameleon earned its impressive car seat attachment score based on the Chicco adapter and Chicco Keyfit 30 combination. 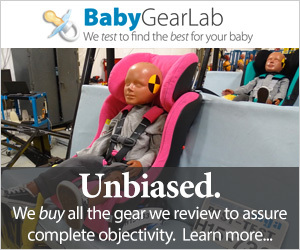 We weren't big fans of the Peg Pergo adapter and car seat combination. This adapter was arguably the hardest to use in the entire review. Unless you already own the Peg Pergo Primo Viaggio 4-35 car seat, we do not recommend this combination. We did not test this adapter, but this is the one you'll need if you won a Maxi-Cosi compatible car seat. This combination may have similar problems with attachment as the Peg Perego during testing. If you need an adapter for your Britax car seat, this is the option for you. We did not test this adapter set but worry it will have the same issues we experienced during testing with the Peg Perego adapter. Bugaboo also makes the Bugaboo Bee3 Combo that we reviewed here and in our full-size stroller review. The Bee earned the highest overall score in this review and had the easiest car seat attachment when coupled with the Chicco Keyfit 30 infant car seat. While the Bee still has a higher price tag than much of the competition, it is lower than the Cameleon and better option in our opinion for parents who are interested in the Bugaboo brand or who want the easiest option for car seat attachment.